For many seniors, walking the corridors of a hospital ER or day-patient unit can feel just as perplexing. The medical personnel, the terminology and the procedures can all seem overwhelmingly foreign. It’s little wonder that patients routinely recall only half of what they’re told by physicians, and that treatment information is often the most poorly recalled. Those lucky enough to have family members nearby, or who can call on the services of a volunteer, stand a better chance of successfully navigating the system. But for most older Canadians, facing the complex health care system alone is the daunting reality. Even if friends or family are available, they rarely have the time to attend every medical appointment or the expertise to steer someone through the system. The rise of the patient navigator — sometimes also called nurse navigator or even health care concierge — addresses the need for guides, translators and advocates. 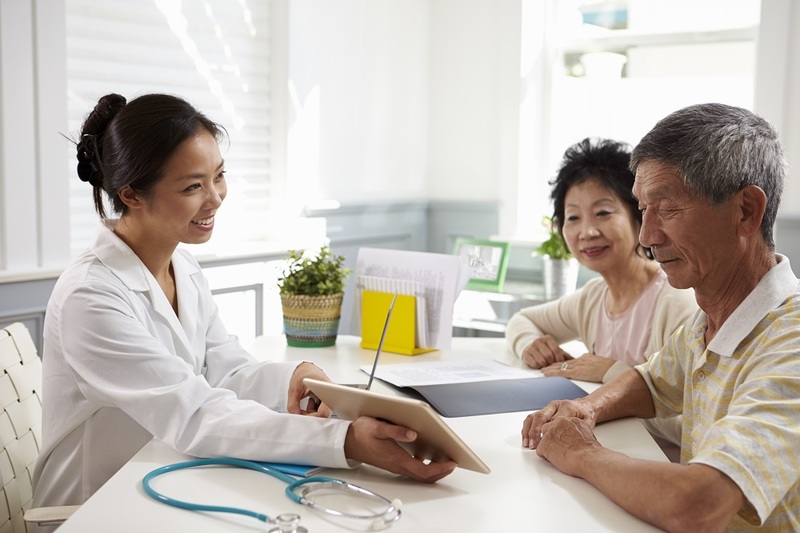 These navigators can attend medical appointments with patients to ask pertinent questions and take notes, or help seniors research and connect with community care providers. They can organize a senior’s health record and help ensure that busy physicians get the right information, at the right time. Patient navigation is not new. In 2011, the Canadian Medical Association Journal noted that the practice was “becoming the norm,” but the focus then was squarely on cancer care, following the example established by patient care pioneer Sandra Cook and Cancer Care Nova Scotia. Patient navigation is also well established in the United States, but services there are concentrated on managing the complex system of health insurance. In Canada, while some services like CAREpath in Toronto continue to specialize in cancer care, others like Hulley’s Niagara-region company and Nurse On Board in Ottawa address a full spectrum of needs. Of course, unlike the nurse navigators in hospital cancer programs or the case managers of Community Care Access Centres, these companies operate outside the publicly funded health care system, charging about $100 per hour for their services. Hulley says acceptance is growing for this fee-for-service model. “People are starting to recognize these types of services as an investment,” she says, adding that the comment she hears most often from the children of elderly clients is that it’s difficult to put a price on the peace of mind that comes with knowing that an aging parent isn’t dealing alone with a medical appointment or minor procedure. While there is no discernible movement toward bringing patient navigation under the provincial and territorial funding systems, there are stirrings of interest in more standardization of services provided by private suppliers. In the U.S., the non-profit Patient Advocate Certification Board is aiming to develop a set of standards for the industry. Currently, the organization is circulating a draft of eligibility requirements for membership, an early step in the certification process. Even without certification, patient navigators report that acceptance by the medical establishment is high. Hulley says that she has never encountered a physician who was not pleased to have an advocate on hand to help an older patient present their medical issue or take notes regarding treatment.